Stu’s a professional musician and has toured the world as lead singer of his band. 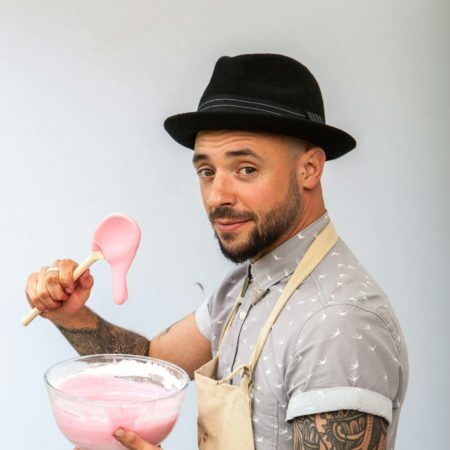 He lives in Surrey with his wife and two children and has been baking from a young age. He used to watch his parents in the restaurant kitchen they owned and was always amazed by the magic of the oven and “how something liquid could go in and out would come this fluffed up awesomeness.” He is confident with most genres of baking and is fascinated by the science of it all. He enjoys trialling different flavour combinations, especially Middle Eastern spices.